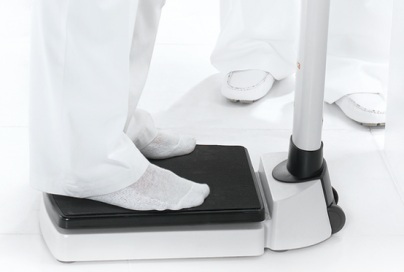 From weighing small children to obese patients, the seca 703 medical scale can do handle it with ease. Especially when it comes to finding out BMI and height. 703 advantages include a high load bearing capacity of up to 660 lbs, slip resistant cast iron base and anti-tip column design. Also available in 703 S version with height rod. The Seca 703 digital medical scale is ideal for weighing small children to obese patients. 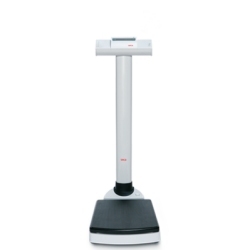 The 703 high capacity column scale with wireless transmission is outstanding when it comes to finding out BMI and height. Advantages the Seca 703 scale from Central Carolina Scale include a high load bearing capacity of up to 660 lbs, slip resistant cast iron base and anti-tip column design. With everything primed for the future and integration in any EMR system, measurements can be transmitted wirelessly via the seca 360° wireless system. Please note that we also have available the Seca 703 S Wireless column scale with integrated stadiometer as well.